There is a house near our home which I pass by during my exercise walks, outside of which the owner has placed several old “treasures” on display for people like me to see…and unknown to them in my case to photograph. The old child’s snow sled, an acorn-shaped bird house, and a wooden bench with nearby table comprise the display. 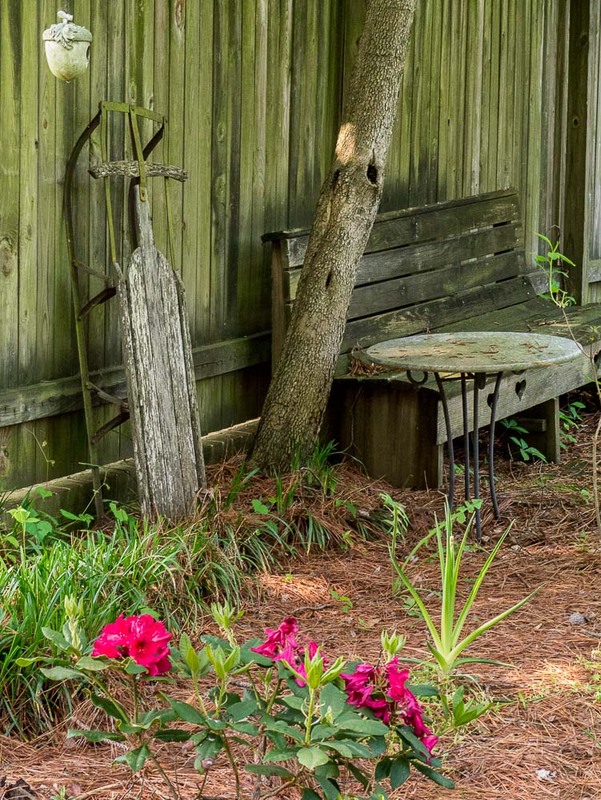 It sits in front of a green-mold colored wooden fence, which could use a good power wash. But, if that were done it would ruin the mood set by the display…one which signifies “old” but still valued items the owner has an attachment toward…for why else would they be set outside for all to see. This is not at all unusual in small-town neighborhoods across America. 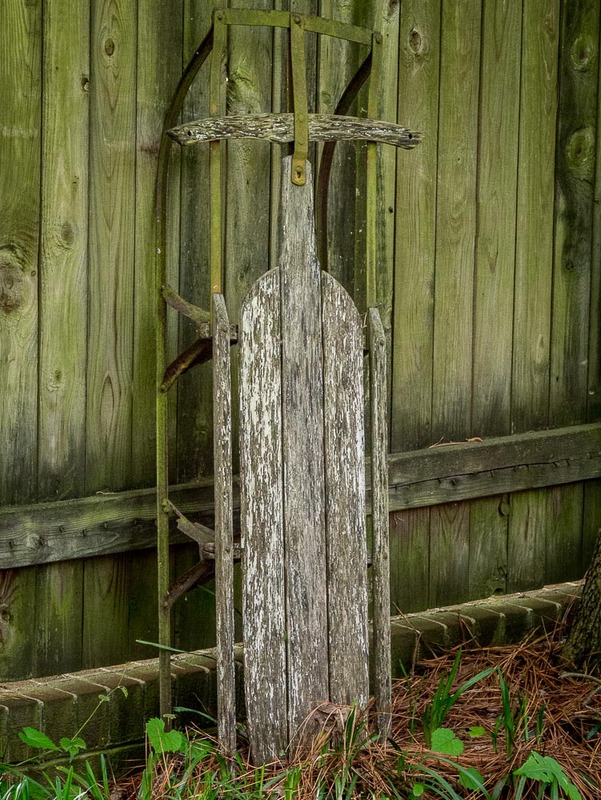 Unfortunately, some home owners have much “looser” rules pertaining to what sorts of treasures are set outside their home for display…old furniture, appliances, cars, etc. Items most of use would call junk. But in the example shown here…all is well. Another winner, great texture, lighting and feel, like these images Mike.